Find the nearest Jr. Suns league to you! To learn more or to redeem your tickets click here. Welcome to the Jr. Suns and Jr. Mercury Basketball League! 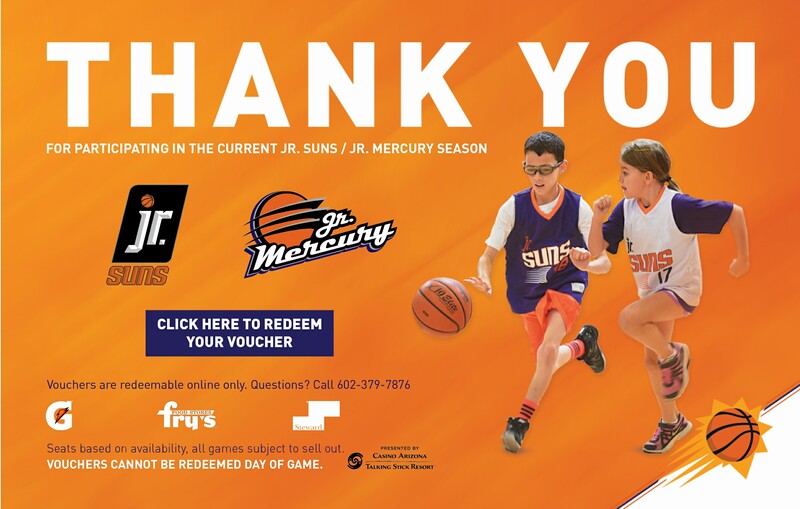 For more than 14 years Jr. Suns and Jr. Mercury leagues have been providing kids with the opportunity to learn what it takes to win both on and off the court. These leagues emphasize fun while encouraging fundamental skill development, teamwork, sportsmanship, positive adult participation and community involvement. 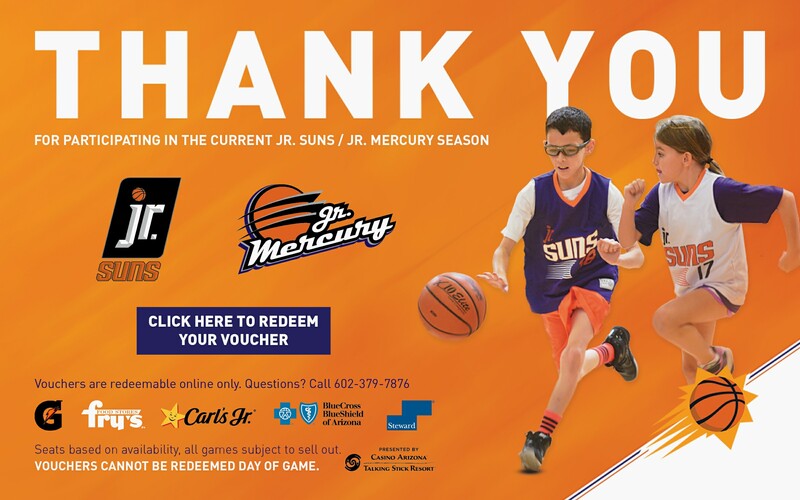 As a participant in the Jr. Suns program, you receive one complimentary ticket to see the Phoenix Suns or two tickets to see the Phoenix Mercury at Talking Stick Resort Arena. Bring your friends and family with you to watch some of the best athletes in the world perform at the highest level. Redeem your tickets by clicking here. Click Here to view the Camp photos from the 2018 Mercury Basketball Camp. Click Here to view the Thunderbird-Day Camp photos from the 2018 Suns Basketball Camp. Click Here to view the Williams Field-Day Camp photos from the 2018 Suns Basketball Camp. Click Here to view the Prescott- Overnight Camp photos from the 2018 Suns Basketball Camp.